Jeep has silently launched a new mid-spec Longitude (O) variant of the Compass at ₹ 18.89 lakh to strengthen its petrol variant line-up. Jeep had initially launched the Compass petrol in the entry-level Sport and top-spec Limited variants. Now though, the American carmaker has introduced the Longitude (O) variant in the Compass' petrol variant line-up as well. The Longitude (O) was previously available only with a diesel engine option. The petrol Longitude (O) variant has been launched at ₹ 18.89 lakh (Ex-showroom, Delhi). In comparison to the lower-spec base trim of the Compass, the new variant commands a higher price by around ₹ 3.5 lakh. With the missing piece now added, Compass petrol is now available in all four trim levels - Sport, Longitude, Limited and Limited Plus. the Longitude (O) is aimed at buyers looking for more value. Being a mid-spec version, the Longitude (O) variant comes with features like 17-inch alloy wheels, roof rails, halogen projector headlamps, front and rear fog lamps, power folding and adjustable wing mirrors, push-button start, a 7.0-inch touchscreen infotainment system with Android Auto and Apple CarPlay compatibility and an automatic climate control system. However, compared to the higher-spec Limited trim, it loses out on features like LED tail lights, leather seats, leather steering wheel, optional dual-tone exterior finish and bi-xenon HID headlights. Mechanically though, the Longitude (O) variant remains unchanged over the other petrol variants and is powered by the same 1.4-litre MAIR DDCT petrol unit which develops 160bhp and 260Nm of torque. The power is sent to the front wheels via a 7-speed DCT unit. 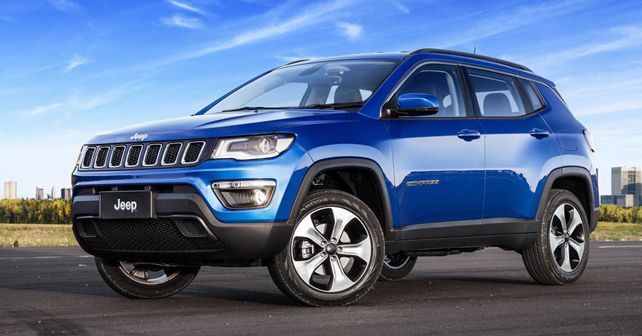 While there is no diesel automatic pairing available for the Compass at the moment, Jeep is planning to get the Compass Trailhawk here which will take care of this deficit. In addition, the Trailhawk will bring more serious off-road tech into the segment.